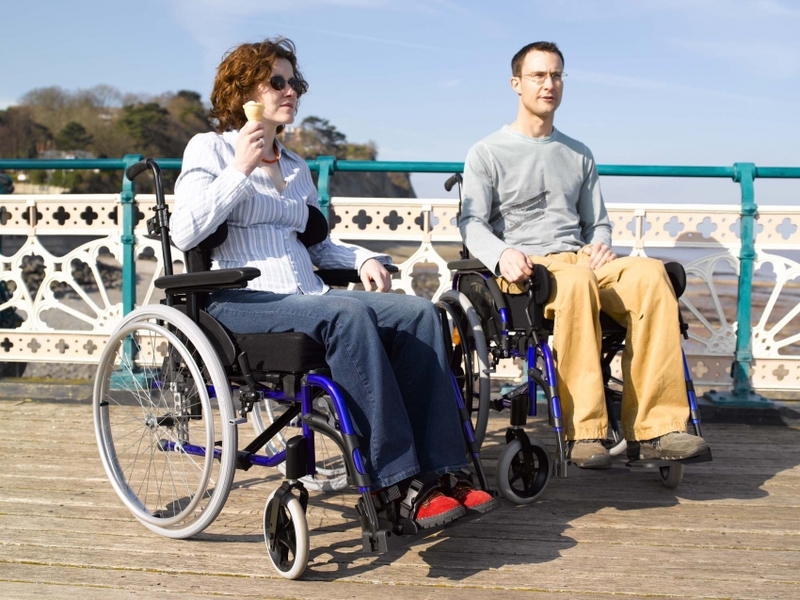 A wheelchair harness is quite simply a postural aid which should be considered not in isolation but for use when effective support at the pelvis by other means, foot placement, trunk control and tilt do not in themselves resolve the postural issue. It is important when making a decision about a suitable wheelchair harness that you involve an Occupational Therapist or physiotherapist wherever possible so that the wheelchair users needs, can be considered holistically, both maximizing safety and engagement in occupation/activity. An incorrectly sized or inappropriately chosen wheelchair harness could be used as restraint, cause occupational deprivation and there have been cases internationally where death has been caused by asphyxiation. This risk is caused by the harness sliding up, the user sliding down, being applied or fitting too tightly or wear and tear which impacts on all of the above. Ensuring that the wheelchair harness is prescribed and purchased appropriately significantly reduces this risk. It is important to fully understand the needs of the user and the importance they place on being able to actively engage occupationally. How active they are in sitting? Indoors/outdoors – does it need high visibility, weather proofing, consider what clothing will be worn. Weather – Does the harness need to be weather proofed? surface – Will the user be up/down ramps, over rough terrain or in need of greater stability? 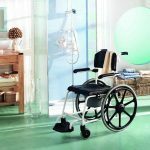 Access – Will the user be able to reach required equipment/utilities within specific rooms or need more freedom of movement? 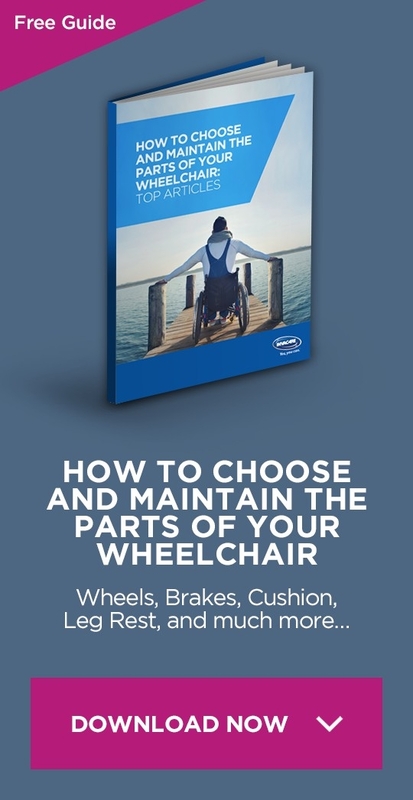 It is crucial when making decisions about the appropriateness of a wheelchair harness that the tasks the user is engaging in whilst wearing the harness is considered. Different harnesses will support and restrict the user functionally in different ways therefore physical, sensory & cognitive requirements needed for each specific task need to be determined and a harness, if required, chosen to support those requirements. 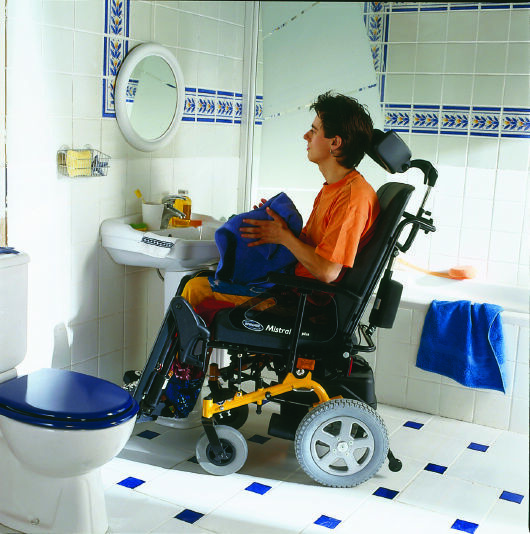 Brushing teeth/grooming – Consider the skills needed to complete the task that could be directly impacted on by the wheelchair harness. How close the user can get to the sink/bowl will impact on how much freedom of movement is required through the trunk. The user will need adequate support; with freedom to dynamically alter trunk position if that is within their ability. Play/engaging in leisure activities – Depending on the environment in which the activity is being participated in and the activity itself the user may need to feel secure and safe to allow them to be creative and explore/develop new roles. With increased security from the wheelchair harness the angle of seat could be considered to allow the user greater flexibility to engage. These are simple examples and do not represent considerations needed for individual users whose needs and abilities should be assessed in their own right. 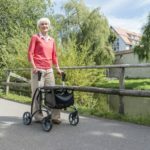 They do however provide an example of how a wheelchair harness should not only be thought of as a safety aid but as equipment that can support positive risk taking and engagement with daily occupations.